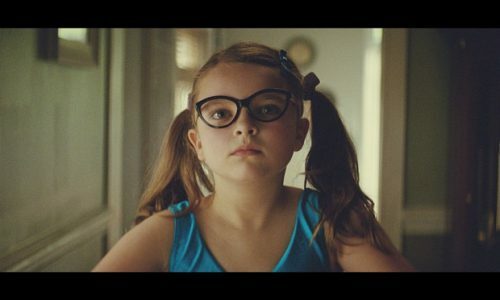 John Lewis showed its expertise in emotional marketing when its “Tiny Dancer” video (created to highlight the company’s home insurance offerings) became the most shared video on YouTube at the start of September. The video beat the likes of the McWhopper burger, Cristiano Ronaldo in disguise and a Tommy Hilfiger striptease, and we’ve outlined five lessons that businesses can take from its success at harnessing the power of emotional marketing. Insurance can often be a stressful and frustrating topic – whether it's signing up for a policy or having to make a claim because something's gone wrong. John Lewis flipped this and made a video that was clever, funny and heartwarming, all while showing how easily something could be broken (necessitating an insurance claim). Whatever emotion you go for – and sadness can work too – you need to make sure your audience is feeling it, so they can focus on one feeling rather than going over the top. Nowhere in the ad did John Lewis really try to sell its product. There was no price, no list of benefits, no trying to outdo competitors. Until the end, you might not have known it was an ad for home insurance. That’s why it was shared so much – people generally don't like to watch ads, but everyone can associate with a child. As you watch the John Lewis video, you're following the little girl and wondering what she'll do next, what she'll break. Her character and her acting were perfect and her actions helped move the storyline along, making viewers wonder how much damage she'd cause. An engaging story is the secret to video marketing success – find a storyline that will tap into your target audience's emotions and then work out how you can connect your brand to it. John Lewis has built a reputation over the decades and this ad reflects how the company is seen, but it wouldn't work for every brand. A shop that focuses on selling cheap goods, for example, would likely not find success with an inspirational video. For successful emotional marketing, you need to focus on the people who will be watching. Stay away from offers, deals and other salesy terms. Instead, talk directly to the viewers and open a dialogue with them. Not everyone watching this ad will buy insurance from John Lewis, but the brand name may linger on their mind for a later purchase. For emotional marketing to work, you need to do a lot of research. You need to know your own reputation, who your clients are and you need to make sure you create something that can be watched without people feeling like they're being sold to. Get all these components right and you might be able to create a viral masterpiece.